Vacuum Metal Krana Kal acquired recently is probably the rarest at this point in my collection. Can you show us a picture of it? 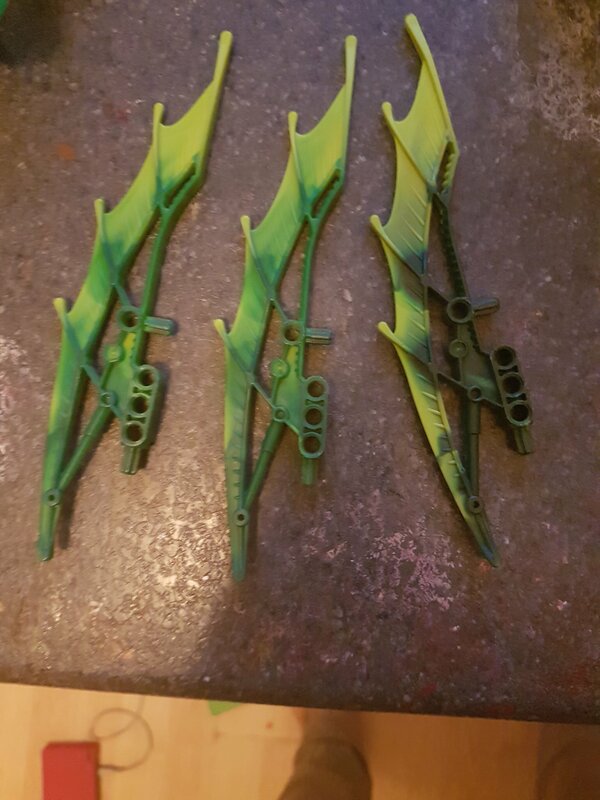 I have some Gresh swords in the wrong shade of green and a syndrome head misprint that misses one eye. The rarest set I own is eithe Toa lhikan and kikanalo or Toa Hagah Norik and Irunii. Also I have some vintage lego sets from 1974 with the original boxes. Can you show us this missprints? I could probably get some pictures of them by tomorrow. I heard the black chrome Darth Vader minifig is kinda special? Got that from ToysRus. Also have the chrome TC-14 minifig. If Toa Hagah are considered rare - I have Iruini 2 1/2 times and Norik 4 times. 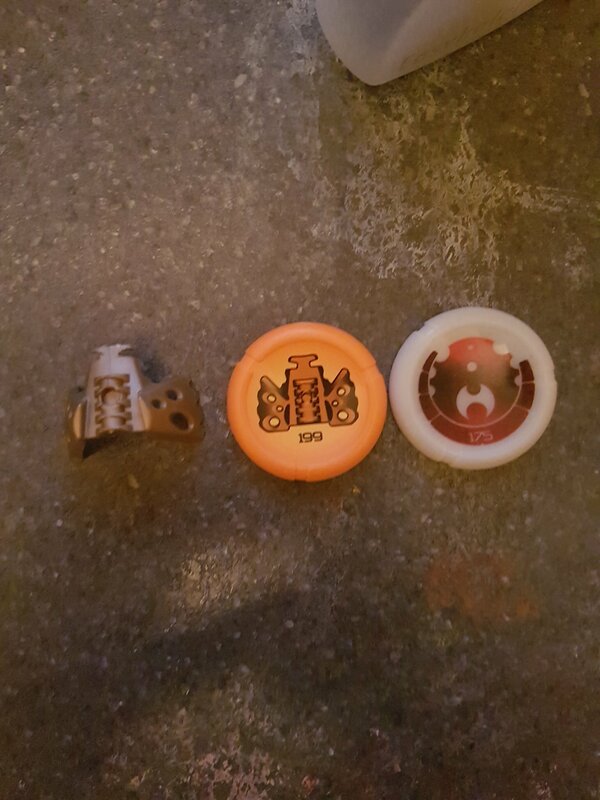 Then there's my complete '01 Kanohi collection. My rarest complete Bionicle set probably is Lesovikk, though, considering that it uses parts only included in that set and as far as I know it wasn't sold in my country. Video, which you even commented on. Oh blast I remember this. oh this. this was a great story. I own the golden lego games dice. which was a promotional item only sold in germany. 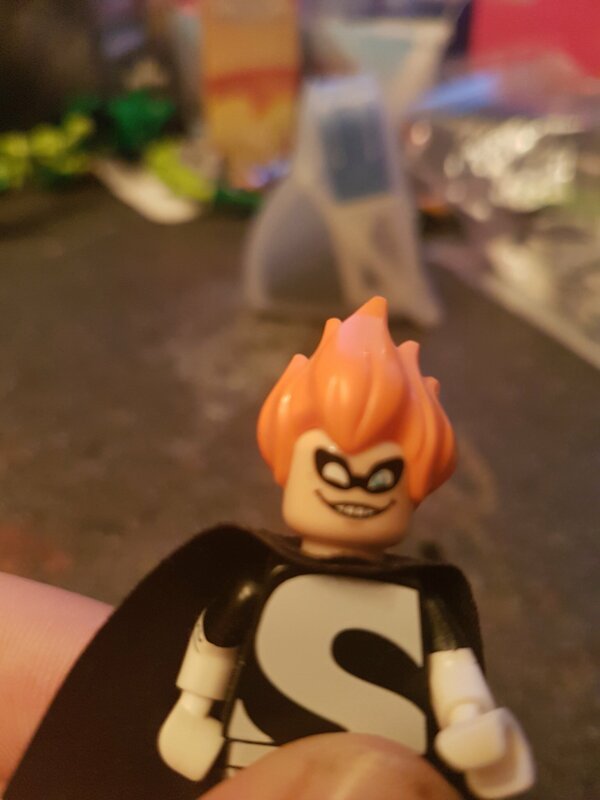 this promotional release of sulfurix, BR toys promotional minifigure. red walker and red good guy two promotional exo force sets given out with Swedish comic books. oh and of course good guy 06, bad guy 06 and bad guy 07. none except the die and sulfurix is especially rare. I've just realized I owned more LEGO shirts than I thought I did. I can't find images for them, but I also had a LEGO Pirates shirt and a couple of Ninjago shirts, one of them with golden Lloyd on it. I saw an Ehlek T-shirt on BrickLink, but I’d anyone sold it, I know it wouldn’t be my size. I used to have a Ninjago Shirt and a LEGO movie shirt, but they're much too small now. Hm. I thought clothing was a specific enough subject to warrant it's own topic. I guess not. Also, I want the hat that has the three virtues logo. Yeah, those Ninjago Halloween costumes are a bit... blocky. Still, I'm sure it looks better than the Lloyd costume I made this year -- in which I drew in Sharpie on two green pieces of paper and taped them to my jacket.